At A1 Sewer & Drain Services, we’re north NJ’s local sewer, drain, and water main experts. We offer sewer installation, sewer replacement, sewer repairs, and other services throughout New Jersey, including Bergen County and adjacent areas. We service underground water pipes of all sizes, materials, and purposes, from small residential drain lines to municipal sewer repair. Sewer pipes can be made from several types of materials, each of which has its own set of concerns, vulnerabilities, and common problems. Our team of licensed and certified NJ sewer plumbers have years of combined experience working with drainage and wastewater systems of all varieties, and can install and repair sewer lines for homes, commercial buildings, and municipal systems. 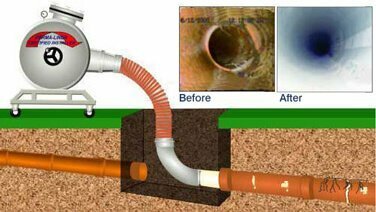 For same-day sewer repair, sewer replacement, or sewer line installation service in NJ, call us today at A1 Sewer & Drain Services, at 201-645-0888. Sewer pipes in NJ can be made from several different materials, and most homeowners don’t know which kind they have. 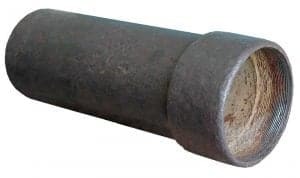 Your sewer line could be made from clay, concrete, copper, cast iron, or even tar paper Orangeberg pipe from the 1940s. 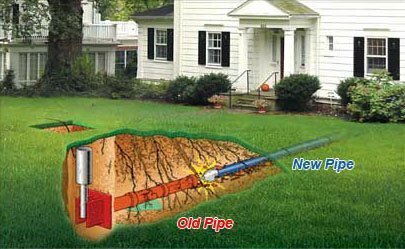 Older homes tend to have metal sewer pipes, but because old sewer lines deteriorate and eventually need to be repair or replaced, the age of a building isn’t always a good indication of the sewer pipe material. A 200-year-old Colonial era home could very well have recently installed PVC pipes. 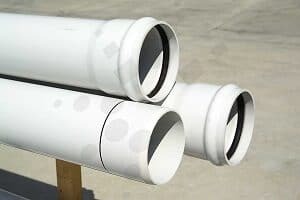 Different kinds of pipe used for underground sewer and water lines are prone to different problems, have different expected lifespans, and have different sensitivities to corrosion. 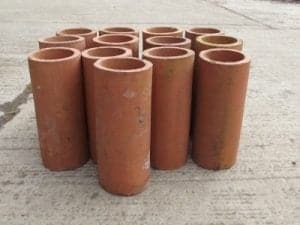 Vitrified clay pipes are made from a blend of clay and shale, which is subjected to high temperatures to create a hard, durable, inert ceramic. Clay sewer pipes are less common than they once were, and tend to be heavy and difficult to work with. They’re resistant to bacterial hydrogen sulfide corrosion, giving them an advantage over metal pipes. It’s also resistant to other forms of chemical corrosion. 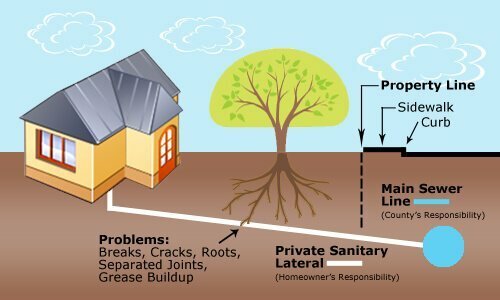 However, its porous surface can make it more vulnerable to tree roots than other types of pipe. Although cast iron sewer pipes aren’t as popular as they used to be, they’re still installed today. Cast iron is very strong, and a 4″ cast iron sewer pipe can resist pressures up to 4,877 pounds per linear foot. This far exceeds the strength of plastic pipes like PVC or ABS. 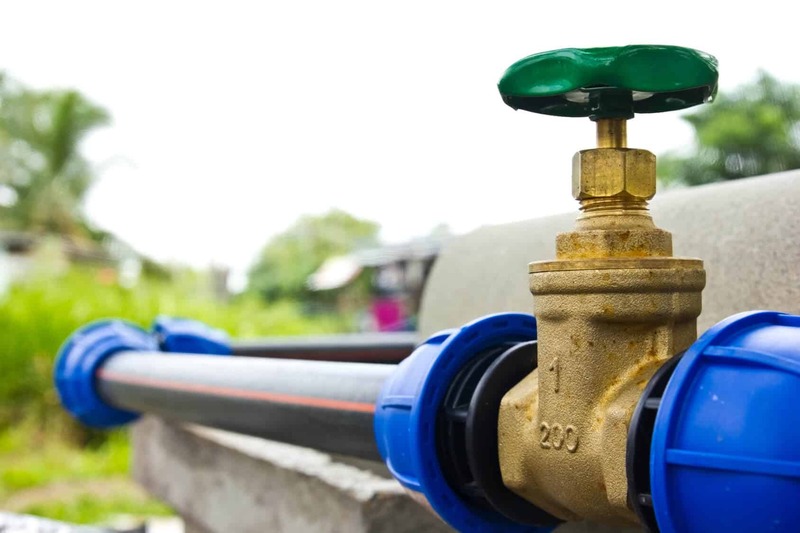 Cast iron pipes are vulnerable to chemical corrosion, including sulfuric acid corrosion caused by sewer bacteria. Cast iron sewer pipes and water mains have been used for over a century, and some remaining cast iron pipes could be over 100 years old. Aging metal pipes can leak or become clogged up with tree roots, as corrosive processes have worn away areas of the pipe walls. External rust is quite common, but is only a major concern in particularly acidic soils. PVC and AVS are both modern plastics that are lightweight and highly resistant to chemical corrosion. Their smooth interiors make them well suited to carrying solid waste, and although PVC degrades when exposed to UV light, it does very well underground. 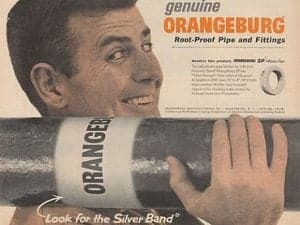 During World War II, widespread metal shortages and rationing efforts led to the development of Orangeberg pipe as an alternative to metal for sewer and water lines. Made from compressed tar paper, remaining Orangeberg pipes are becoming increasingly rare. Like PVC, it’s lightweight and brittle, making it prone to collapse. Sewer pipes of all types have a finite lifespan, and eventually, they’ll need to be replaced by a local plumbing sewer contractor. 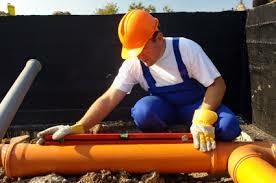 Need Sewer Repairs or Sewer Replacement in NJ? Call Sewer Replacement Contractors Today! 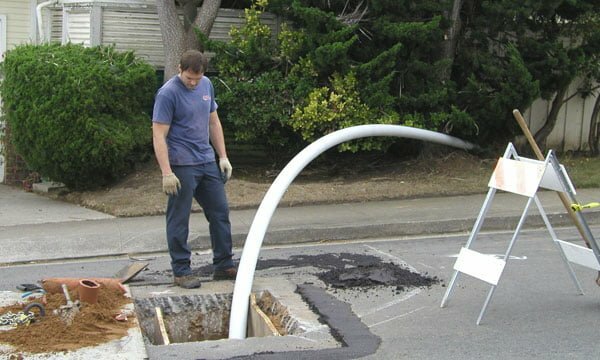 At A1 Sewer & Drain Services, we’re available 24/7 for emergency same day drain & sewer repair replacement installation service in NJ for residential, commercial, and municipal sewer repairs, water pipe repairs, and drain repairs. For great service today from qualified, experienced, and friendly local NJ plumbers, call us any time at 201-645-0888.